Queensland has recently passed strong legislation to ensure the safety of homes through the installation of modern smoke alarms. It’s important that all homeowners understand what the law requires, and to take action to bring their homes up to legal specifications. 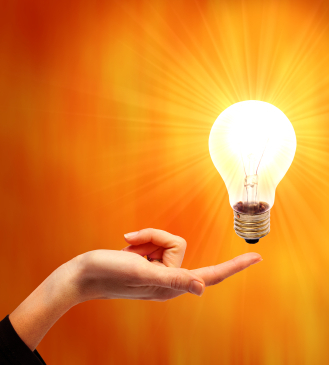 The biggest change is that all smoke alarms in Queensland homes must be photoelectric, interconnected alarms – either by being hardwired or by using wireless technology. Photoelectric, hardwired alarms are connected to the house’s electrical system with a backup battery and can “see” smoke making them more effective in distinguishing between a real fire and a cooking disaster. From 1 January 2017, all smoke alarms installed or replaced in QLD must be Photoelectric alarms. If you are doing any major renovations after this date in a home, your home must comply with the new laws. If you have a rental property or are selling a home, unit or rental property, you have until 1 January 2022 to comply with the new laws. All smoke alarms must be connected either by being hardwired by a qualified electrician and/or by wireless technology. What About Battery Operated Alarms? There are new limits on battery alarms. 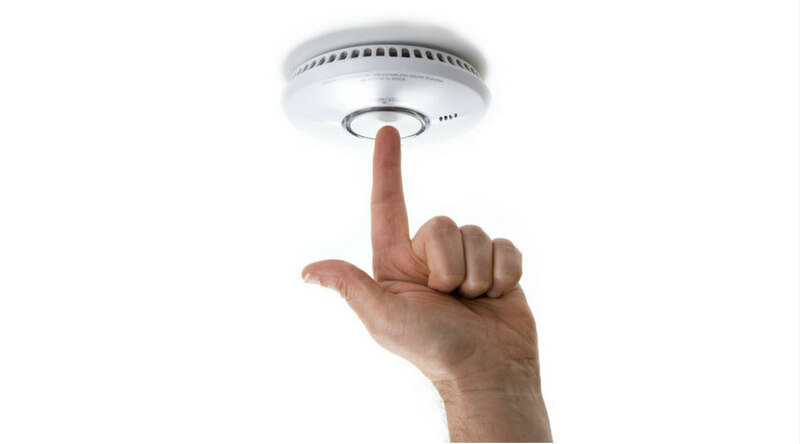 You can install 10-year lithium battery photoelectric smoke alarms provided they can be interconnected with all other smoke alarms in your property via wireless technology. Check your existing battery smoke alarms to make sure they are working and have not expired. Battery fire alarms have an expiry date and must be replaced every ten years. To find out how old your alarm is, look at the base. The date that the unit was manufactured should be printed on the bottom near the battery cover. If the alarm has a date pre-2006 the unit should be replaced ASAP. If you are replacing them, remember you need to comply with the new legislation! Check your battery monthly. Press the test button on your alarm and if it beeps it’s good to go. If you can’t reach the button easily, use a stepladder or a broom handle for extra reach. Clean your alarms. Just like everything else in your home, your alarms get dusty and this can interfere with their operation. Wipe them down regularly to remove the dust and cobwebs. (You could even do it while you’re testing the alarm). Replace any removable batteries at least once a year. Most people change their batteries on April 1st or April Fool’s Day as it’s easy to remember “not to be the fool.” However, you can change them at any time as long as you remember to do it regularly. Never paint your smoke alarms; it stops them working. Yes, your alarm won’t match your ceiling colour, but safety is a priority. Never take the battery out of your alarm and leave it out. Removing the battery defeats the purpose of having a smoke alarm and turns it into a lovely non-functioning ceiling accessory. Don’t turn smoke alarms off when cooking. Despite how annoying it is when smoke alarms decide to sing the song of their people whenever you are trying to cook, don’t turn them off when cooking. Turn on a fan, open a window and wave a tea-towel or magazine in front of the alarm to clear the air and stop it singing again. The good news is that with modern photoelectric alarms, the smoke alarm serenade when cooking bacon will be reduced. If you want to get started on creating a safer home or simply want more information about the new smoke alarm requirements, give our friendly team at TMOT a call. We will come out and talk you through what is needed given the design of your home and put together a comprehensive quote, so you know all of the costs before you start. 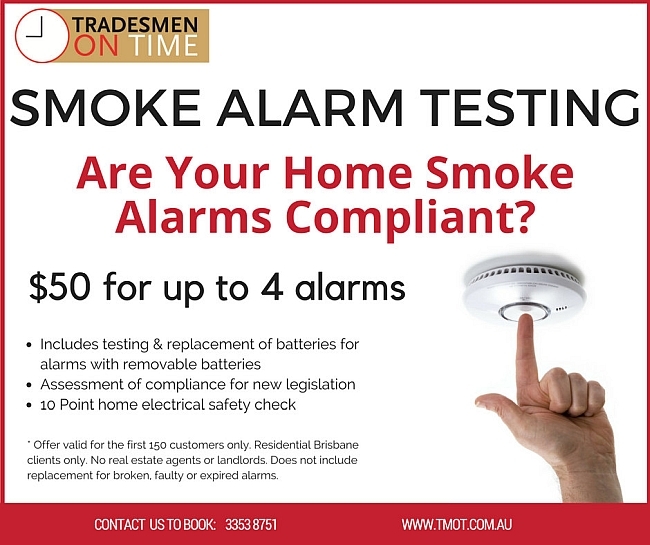 Need help with smoke alarms in Brisbane? Call us!